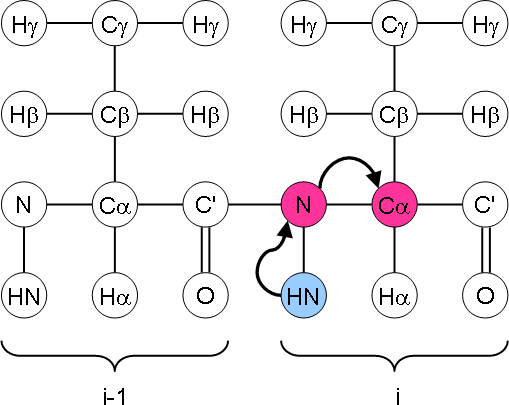 Magnetisation is transferred from 1H to 15N via cross polarisation and then selectively to the 13Cα using specific cross polarisation. The chemical shift is evolved on the 15N nuclei and detected on the 13C nuclei. This experiment can be used in the early stages of a project to assess the nitrogen line widths. It may also provide a means for assigning the nitrogen chemical shifts.